SPIRITUAL TAROT Choose a layout that reveals Higher guidance for your evolving Soul. 30 minute readings $45, 1 hr. $80 ($1 per minute after an hour) Courses available. 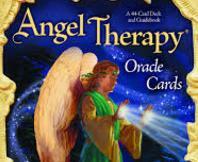 ANGELIC GUIDANCE COUNSELOR Choose from a variety of divination decks for messages from the Higher Realm. Angels, Fairies, Goddesses, Ascended Masters, Archangels, Mermaids & Dolphins, and more. 1 hr. $80. WEDDINGS & PASSINGS Ordained Reverend Samantha Vanderslice performs weddings, passings, and other rituals. Leave me a message about what you need.